Nicaragua has been on everyone’s must visit list for the last few years and I finally made the trek. Combining beach time, history and Semana Santa (Easter) festivities makes for a lot of things to do. It feels vastly different than when I was last here in 1989, during the post Revolution/Contra war times. When I travel I always keep a few toys in my purse for times that I’m sitting near kids and want to make friends. 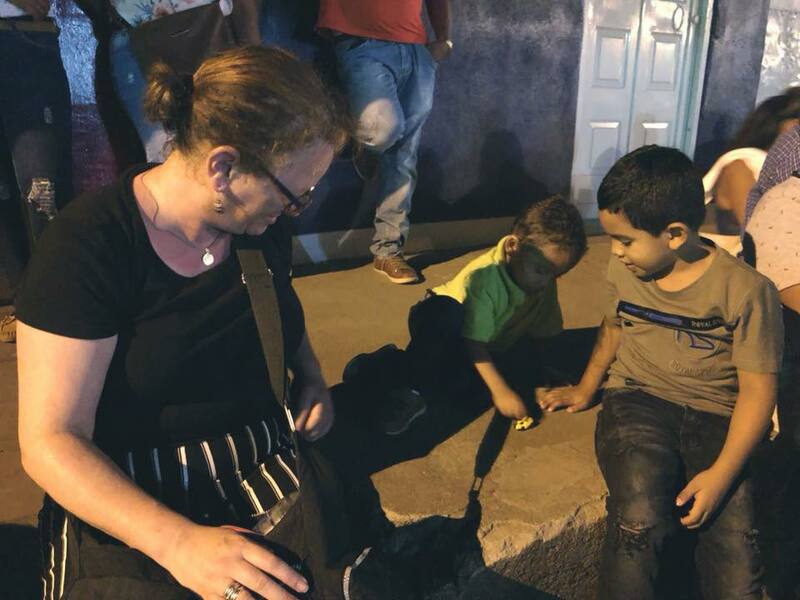 On this night in Leon, Nicaragua, we were sitting along the route of the procession, waiting and waiting for it to come, feeling board and restless, so I took out a little racing car and played for a while with these two boys. At first they looked so afraid of me, but I won them over. All of Leon, celebrates Semana Santa (Holy Week) in a huge way. Processions weave around the city throughout the week. On Easter Sunday at 6am there is a procession at the main cathedral in Plaza Central where Mary and Jesus meet again and proceed back into the church together. On Good Friday in Barrio Sutiaba in Leon, Nicaragua, resident artists spend all afternoon creating sawdust carpets in preparation for the evening procession that marks the final carrying of the crosses during the Semana Santa, the Catholic Holy Week. The procession walks over the carpets and then later they are all swept up and disposed of, but for hours people can enjoy the art and the messages, as well as, lots of street food. Along the sides of the roads residents also create altars, including some live ones celebrating Jesus. 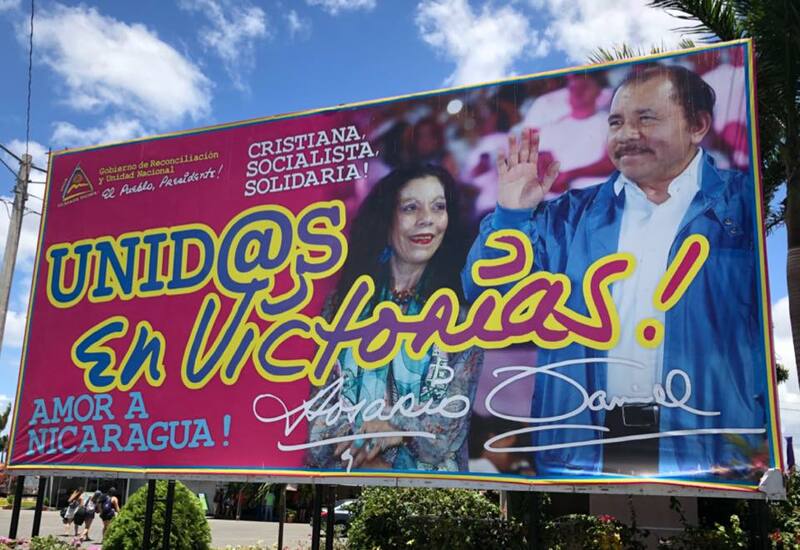 I’m back in Nicaragua after 29 years. My first visit was during the Sandinista revolutionary times. It changed my worldview and showed me how to travel in a deep exploratory way. I am so happy to finally be here again and trying to dig deeper. Funnily once again the same guy is in charge, but this time apparently as a capitalist when back then he was a socialist leader of the Revolution. 🤭So much for the ideals of the Revolution that felt so profound to me back then.